List of Miss Lyon's papers dated 1986. 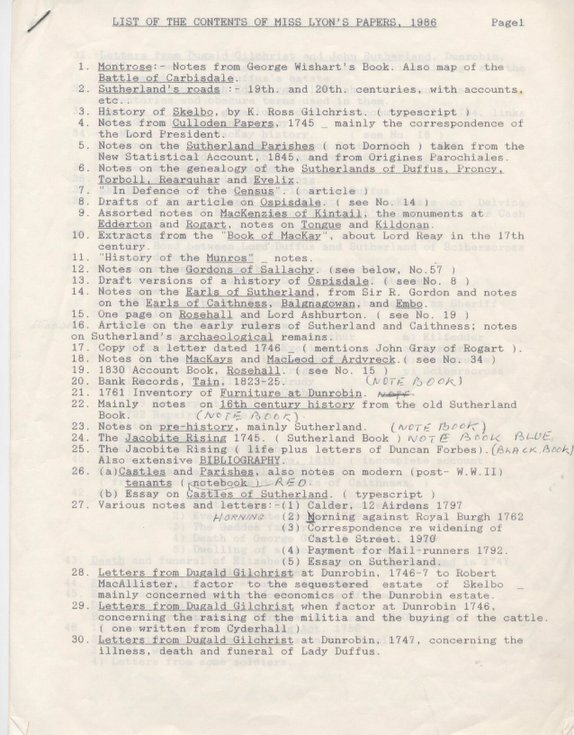 Lists 62 items with a further six added in Jimmy Bell's handwriting. 3 pages stapled.